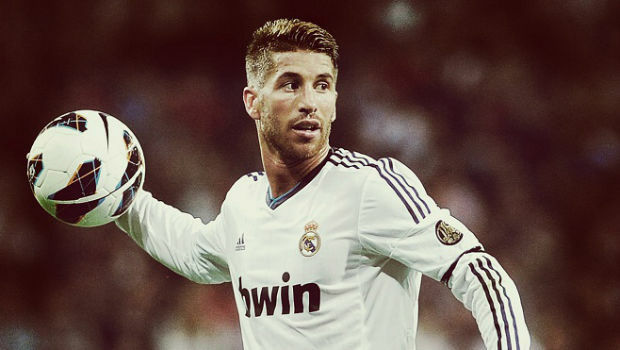 Sergio Ramos is a famous Spanish professional football player. He holds the responsibility of captainship in both the Spain national football team and Real Madrid. He serves as central defender and previously played as right back. He attended three World Cups and three European Championships representing Spain internationally. He is one of the top scorers of La Liga. In 2003, at the age 18, he became youngest player to make 100 appearances in international tournaments. His team won the World Cup 2010. On 30 March 1986, Sergio Ramos García was born in Camas, Seville, Andalusia, Spain. As a youth Ramos joined Sevilla FC a local club when he began his career. In 2004 he made his debut team and La Liga debut. He was substituted for Francisco Gallardo after an hour into game. However, the team lost against Deportivo de La Coruña for 0-1. In the following years he appeared in 41 games. Ramos’ team was qualified to play for UEFA Cup scoring a win against Real Sociedad and tied with Real Madrid. There was a continental match where he represented Europe. He scored the first goal from Europe which helped earn a 2-0 victory against CD Nacional. Ramos was transferred from Sevilla FC to Real Madrid for €27 million. It was a record bid for a Spanish teenager. Under Florentino Pérez presidency of the club, he was the only Spanish player to be let in. He was assigned the number 4 shirt. Playing in UEFA Champions League he scored his first goal for the Merengues. At first he was assigned the center back position and when situation needed he also served as defensive midfielder. When Christoph Metzelder and Pepe joined the club, Ramos went back to serving at right back. The first four seasons are memorable for the team as Ramos was on the goal streak which was unusual for a defender. He netted 20 goals during those seasons. Moreover, he received 9 of 21 red cards for the club during those seasons. Four of them were alone from his debut game. In 2006-07 season Real Madrid won a record 30th Spanish league championship. He scored 5 goals in that season including the one that tied the game with Barcelona. He assisted a goal against CA Osasuna in 2008, which earned his team the 31st league championship. Observing his marvelous performance through seasons, he was appointed one of four team captains during 2009-10 season. He was again assigned the central defender position as Pepe was out due to a knee injury. Despite his top-notch performances, Ramos has shown temper on various occasions like most of the football players. Upon Real Madrid’s defeat against Barcelona for 0-5, he pushed Carles Puyol and kicked Lionel Messi from behind. He was carded immediately and benched. In 2013, he was again in the news for bookable offense during a game. Furthermore he was also reported to insult the referee that earned him four matches suspension. Ramos has extended his contract with Real Madrid till 2017 which he later further extended till 2020. He captained over Madrid against Rayo Vallecano in a record 10–2 La Liga victory in 55 years.